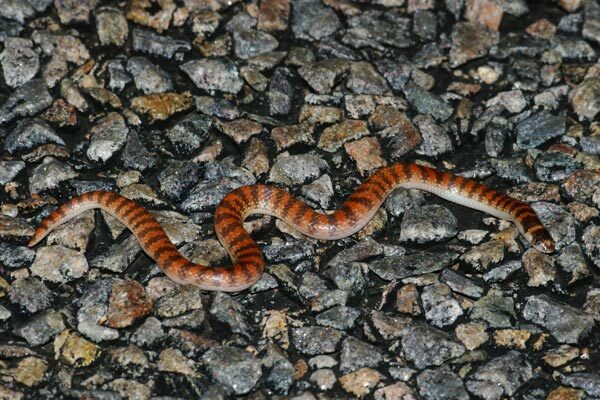 This pretty little snake is venomous, like all species in the family Elapidae, but is considered harmless to humans. 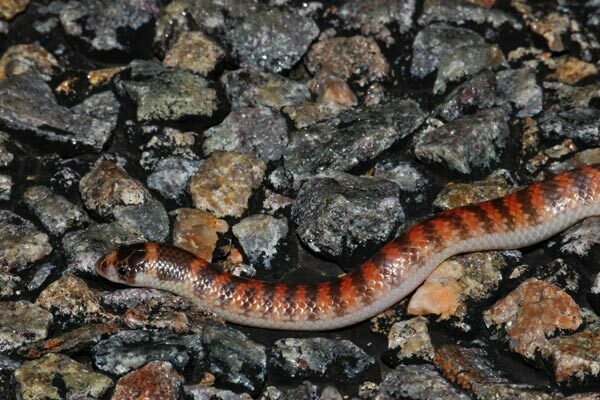 It was the only snake we saw on the road in several nights of night-driving both at Kalbarri and later at Shark Bay. I expected more, but we were unfortunate to be visiting during a bit of a cold snap. This species was formerly listed in the genus Simoselaps.